Taner's new book, "A Shameful Act: The Armenian Genocide and the Question of Turkish Responsibility" (Metropolitan Books) has been making quite a splash too. Just last week Taner was charged with "insulting Turkishness" under Turkey's Article 301 and may face a trial in Turkey in 5-6 months. robberies. The group also achieved notoriety when it set up a so-called "liberated zone" in the town of Fatsa on the Black Sea coast where DEV-YOL militants established their control for several months before being routed by the security forces. leadership circle of the terrorist organization and worked as the right-hand man of its leader Oguzhan Muftuoglu. In addition, as the editor of DEV-YOL's magazine, he wrote numerous articles exhorting DEV-YOL militants to engage in violence to bring down "the oligarchy", to punish "the fascists", and to get rid of "American imperialism." By the mid-1970s, as political violence between the far-left and ultra-nationalist groups escalated, Akcam had become one of the leading "theoreticians" of leftist terrorism and violence in Turkey. Ankara along with four other convicted terrorists in March 1977. After hiding in Turkey for several months, he managed to find his way to Germany where he asked — and received — political asylum. In Germany, Akcam continued his involvement in radical leftist activism and became the leader of a group known as Gocmen Harekat (Migrant's Movement) that sought to reorganize the other leftist terrorists who had escaped from Turkey. In the aftermath of the 1980 military coup in Turkey, Akcam became a leading figure in mobilizing demonstrations and protests against Turkey in Germany. had appeared on the scene that did not much care for older militants such as Akcam. Taner Akcam then worked for a period as an "advisor" to another former leftists radical, Gurbuz Cap¹n, who had become the mayor of Esenyurt municipality in Istanbul. in terrorist organizations, hiding from the police, and living in exile as a refugee, Akcam had found his true calling in life. By gaining the dubious distinction of being the first "Turkish scholar" to agree wholeheartedly with all the Armenian allegations and claims against Turkey, Akcam finally managed to make a name for himself outside of terrorism and also earn a livelihood through the financial support provided by Armenian diaspora organizations. Akcam's critical views about Turkey and the actions of the Turkish state is typical of a generation of leftist intellectuals and political activists who emerged on the Turkish political scene beginning in the late 1960s. For them, the Turkish state is capable of doing nothing good and worthy and everything that smells foul and nasty. their anger and opposition to the Turkish state. Some former radical leftists have taken up political Islam as their new cause. Others have become supporters of radical Kurdish nationalism and the PKK. 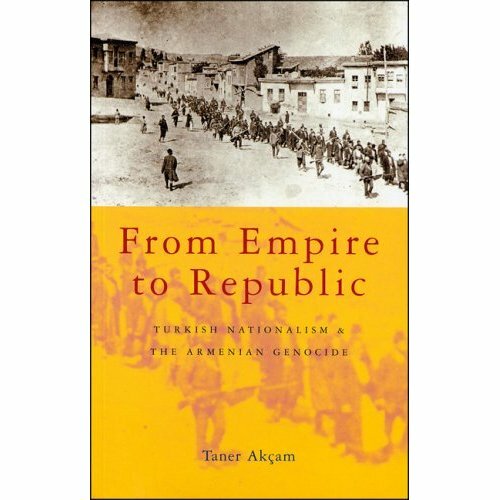 And in the case of Akcam, his lifelong opposition to Turkish state has manifested itself through his unabashed support for the Armenian version of history for the period. It is lamentable that a person who has been a fanatical critic of the U.S. throughout his adult life and who has worked in terrorist organizations that were directly responsible for the deaths of American citizens is now warmly embraced by people living in this country. Participated in an act of violence in Malatya, which resulted in an injury to a taxi cab driver. His webpage is very short on information. Turkish Nation the last nation, who free themselves from the Ottoman rule.